You know how they say that your problems aren’t that bad when you’re debating whether to eat a steak or a prime rib? That’s pretty much what it’s like trying to rank the all time Laker players with each other. There is greatness pretty much everywhere you turn. The legacy of the Laker legends goes back to the earliest days of the NBA, when George Mikan and Jerry West were the top dogs. Fast forward a few decades, and you have the “Showtime” Lakers, led by Magic, Kareem, and Big Game James. Fast forward once more to the start of the new millennium, and the Diesel and the Mamba, AKA Shaq and Kobe, are there to assure you Lakerland is never devoid of stars. But back to our analogy about the steak and the prime rib. Assuming you’re not a vegetarian, when you have such good choices, how do you decide which one is best? It’s by no means an easy task, because you’re forced to factor a number of different things into the equation. Statistics, awards, and championships are just the surface of it all. There’s also the fact that every NBA era is different, and therefore our perception of the players must be shifted as well, for better or worse. And then of course, there are the intangible things. The things that can’t be seen on paper. The mystical qualities that reside within a player, enabling them to become more than just a player – but a legend we’ll always remember. There is no doubt in our minds that Robert Horry belongs on this list, however low he may appear on it. His stats weren’t the flashiest, but then again he was never really a starter. And yet… in many ways, he was so integral to the Lakers three titles from 2000-2002, due to his role as a clutch shooter. 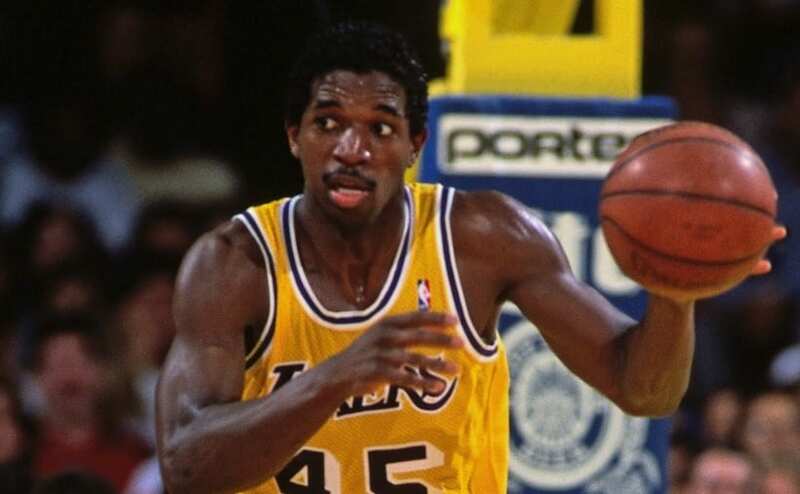 Given the nickname “Big Shot Bob,” Horry helped the Lakers out of a number of tight jams in the playoffs, with multiple game-winning threes to his name. Kobe may have won five titles, but he never won a title without Fisher. It’s almost like Fisher was his deputy, a necessary calming force that was absolutely essential to the framework of the Laker’s success. Oh, and by the way, Fisher may have hit one of the most memorable playoff shots of all time, against the Spurs in the 2004 semi-finals. The Lakers were down 1, and there was 0.4 seconds to go, a seemingly impossible timeframe to hit a shot – and Fish knocked it down. Here’s a guy that only the most learned of Laker historians know about. But don’t despair if you’ve never heard of him, because he truly does go way back. 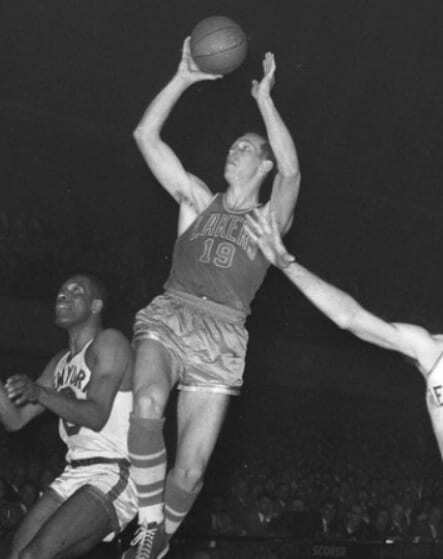 Vern Mikkelsen played on one of the Minneapolis Lakers teams of the early 50s, and was pretty much the Draymond Green of that team. 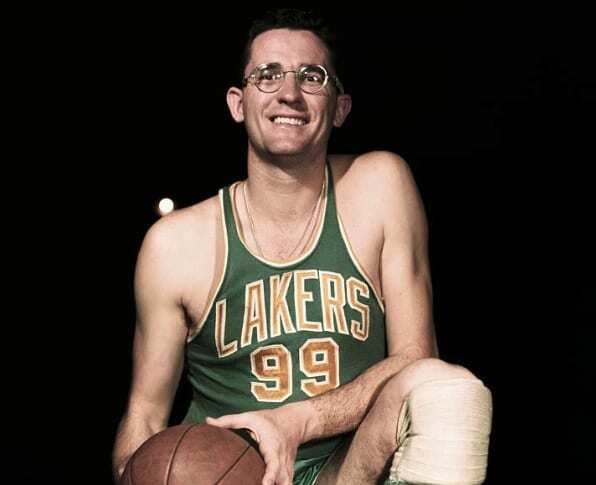 Averaging nearly a double-double throughout his entire stint as a Laker, he helped George Mikan win four NBA titles, which included the first ever Laker three-peat. Lamar was one of those players that doesn’t come around too often, because he had such a unique playing style. He had handles like a guard, and yet he had the wingspan and height of a big man in the league. His funky, offbeat, left handed approach allowed him to score at ease, averaging around 15 points a game throughout his time on the Lakers, winning Sixth Man of the Year, and helping the Lakers win two titles as well. When it came to the showtime Lakers, we often hear of the main stars – the flashier and bigger names such as Magic or Kareem. But the folks that used to watch those Laker games back in the 80s know quite well how important A.C. Green was to their team. Basketball isn’t just about putting the ball in the basket. In order to get that ball, you need to rebound it, and Green led the team in rebounding for six out of his eight years with the Lake show. To play on a team with Magic Johnson, perhaps the greatest passer of all time, and still average around eight assists a game, is a ridiculous accomplishment. In addition, not only did he average around 17 points a game while a Laker, he made the All Star team twice, and helped the Lakers win two titles. On a team that one could argue was one of the greatest of all time, Nixon was a key element that helped round out the entire enchilada. When talking about the showtime Lakers, everyone loves to talk about the flashy passes, the Kareem skyhook, and everything fun that happened under the sun of the Great Western Forum. 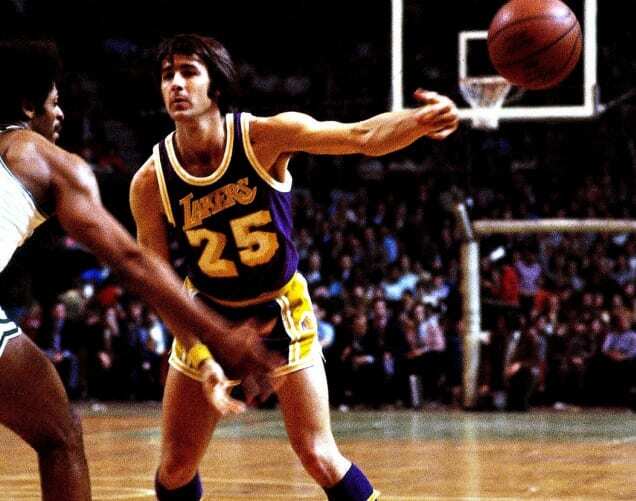 But in order to win championships, one must play defense – and Cooper was the Lakers ace in the hole. 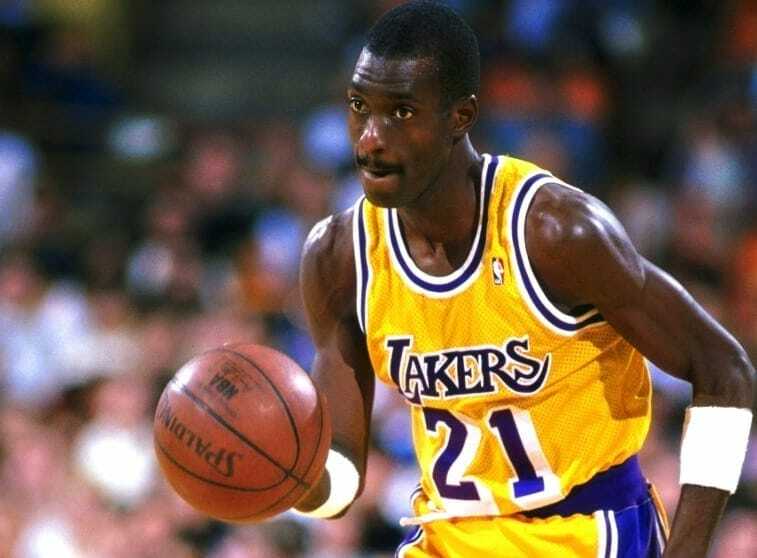 A four-time All Defensive First Team and a winner of the Defensive Player of Year, “Coop” was crucial to the Lakers success against powerful offensive attacks. Oh, and he also was a stellar shooter on the offensive end as well. The silky smooth style of Jamaal Wilkes was incredibly influential on the league, and his stats were pretty darn great, by anyone’s standards. 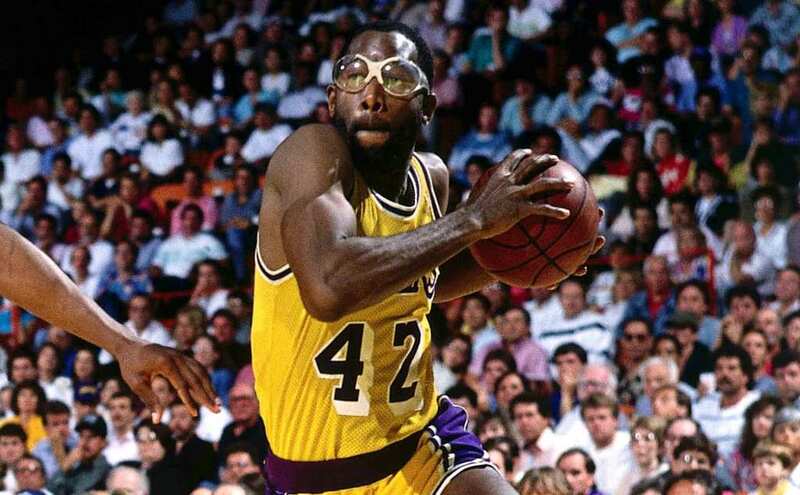 Given the nickname “Silk,” he is actually the Lakers 10th leading scorer of all time, averaging around 16 points a game throughout nine seasons on the team, and roughly 20 points a game during the years in which he helped the Lakers win three separate titles. He was also a three-time NBA All Star. 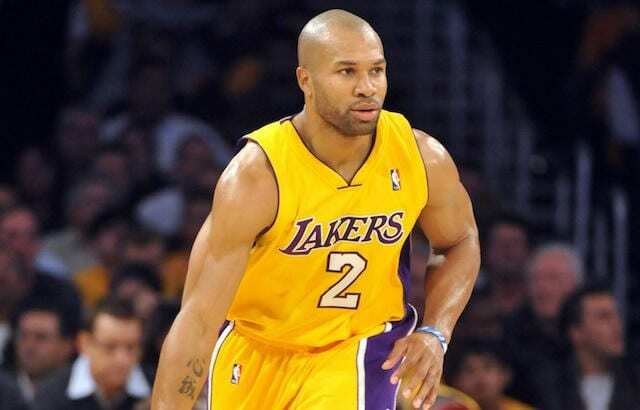 Here’s another guy that was a key component to the Lakers success in the showtime era. Averaging around 15 points a game consistently throughout ten seasons with the Lakers, he was the “Derek Fisher” to Magic’s Kobe Bryant, if you catch our drift. Scott was pretty much Magic’s right hand man, helping him win three titles in the later part of the 80s. 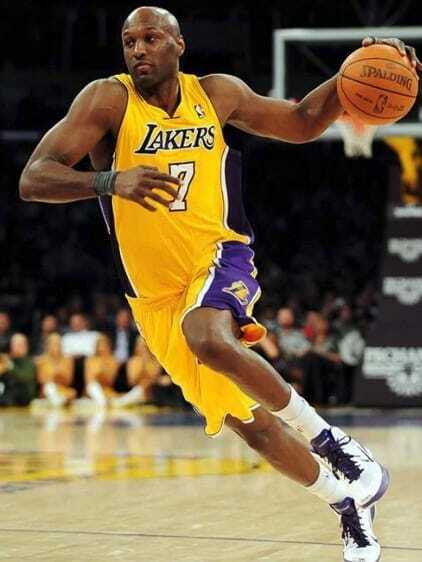 He is also fourth on the all time Laker list of career steals. When the Lakers got Pau Gasol in a trade with the Memphis Grizzlies in 2008, it was a pretty exciting thing to happen for Los Angelinos. They hadn’t been to the promised land in a few years, and Kobe didn’t have many more years left in his prime. 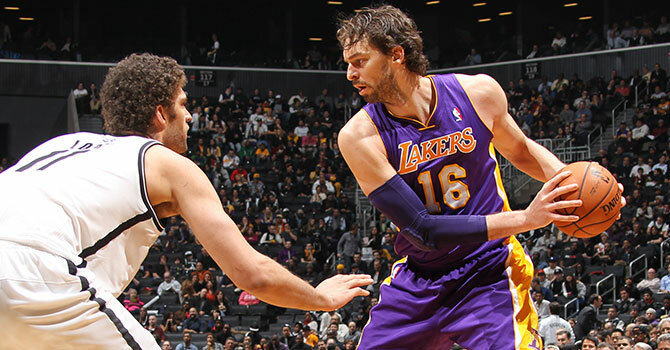 Pau Gasol was the perfect second option for the Kobe, averaging nearly a double double and helping the Lakers reach the Finals three more times, and winning it twice. 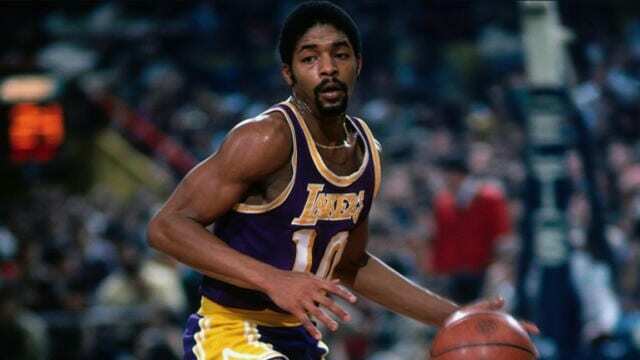 A Laker who primarily played in the 70s is certainly one of the all time Laker greats, given the fact that he’s ranked eighth in assists and points in the history of the franchise. A left hander, Gail’s flashy approach to the game was of a precursor to what Magic would bring in the 80s. He won a title with the squad in 1972, but it seems that his style was influential in spirit for many of their future titles as well. Back in the 50s, the NBA was still figuring itself out, and so were its players. George Mikan was incredibly influential in that regard, using the hook shot before it became popular, and setting an example for what a big man should look like in the league. 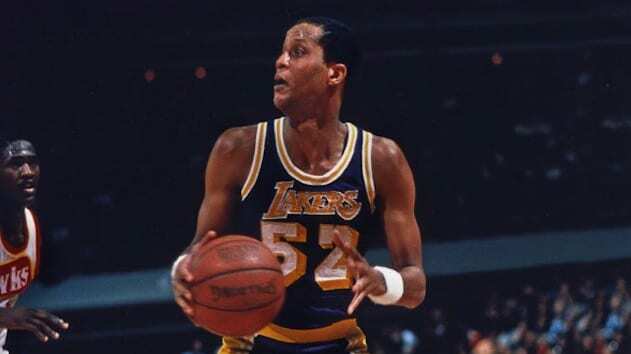 Throughout his time on the Minneapolis Lakers, he averaged an impressive 23 points and 13 rebounds, and helped the team win a total of five championships, setting a precedent for future Laker teams to follow suit. “Don’t do it to him James!” This was a playful phrase that would be repeated time after time by none other than Magic Johnson, after he’d dish it to James for an isolation play. Then, of course, James would score, making it look easy in the process. “Big Game James” only came to the team in 1984, but by the time he got there, the transition was seamless, immediately averaging points in double figures, becoming a seven-time All Star, and helping them win three titles as well. For the entirety of his career, Elgin Baylor’s stats are truly astounding. 27 points, 13 rebounds, and 4 assists over 14 years with the Lakers truly is impressive, allowing him to gather the most rebounds in Laker history, and the fourth most points. Considering the fact that he was only 6’5, it’s even crazier that he holds the record in rebounds. But he was one of the more athletic wings to ever play the game, and was a huge influence on the dunking culture in the NBA as well. 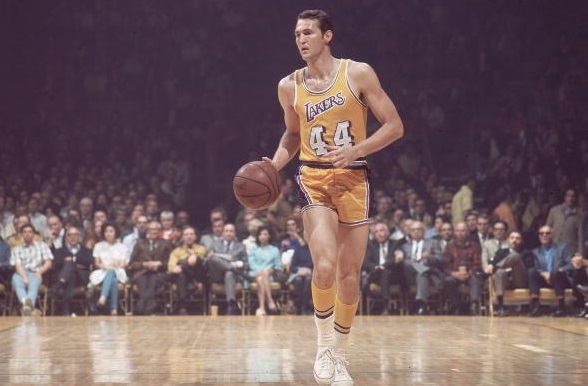 Anyone who has ever merely looked at the NBA logo has seen Jerry West, considering the fact that they based it around him. Nicknamed “Mr. Clutch” for his tendency to hit the most ridiculous shots in the most pressing of scenarios, West is an absolute classic Laker legend. A 14-time All Star and a 10-time member of the All NBA first team, West averaged around 27 points, 5.8 rebounds, and 6.7 assists throughout his career, and his impact will forever live on. Wilt “the Stilt” Chamberlain is known for many things, but perhaps what he is best known for is his 100 point game. 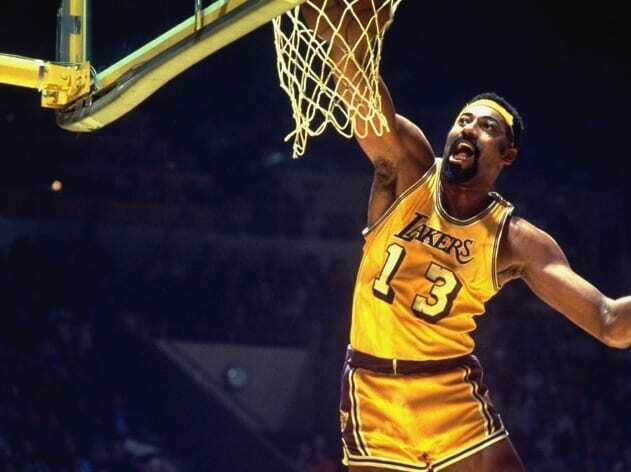 It’s pretty impossible for us to comprehend how Wilt managed to put up the stats he did, especially when you consider that he averaged close to 20 rebounds throughout his entire time on the Lakers. How does a player even do that? But anyway… he did win a title with them in 1972, and he also received MVP honors four times throughout his career. Kareem was already a well established talent in the league before he came to the Lakers. But when he got there, it was clear that he was all but finished. We are talking about a man who literally had a shot named after him – the Kareem “Skyhook.” They say that when he went up for the hook, it was understood that it would be going in. It’s the reason he’s the all time NBA leader in points, and it’s how he helped the Lakers win five titles. It’s like we said before… making these lists are hard. Some may have put Shaq below Kareem and Wilt, but we think otherwise. For there is something to be said about pure dominance. Shaq was given a few nicknames, such as the “Diesel” and the “Big Aristotle,” and it’s because he literally couldn’t be stopped when he had the ball in the paint. 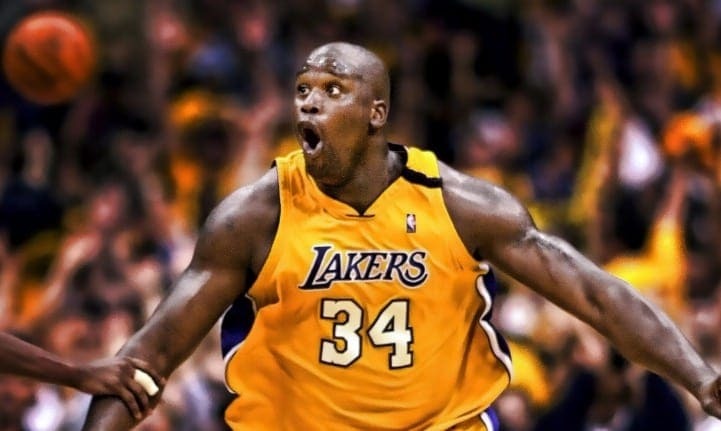 A three-time Finals MVP holder throughout their 2000-2002 three-peat, Shaq was a force that could hardly be reckoned with. There has never been a player quite like Magic Johnson, and there never will be. This isn’t a knock on other players – it’s just an appreciation for his transcendent talent, from one no look pass to the next. From the moment he stepped onto the court, he changed the entire ecosystem of what being a Laker was like. He didn’t just lead them to five titles. He became the face of their team, and brought the show to the fans like they’d never seen before. Mr. Kobe Bryant. The Black Mamba. There is a reason that players consider Kobe to be the scariest player they ever faced. It’s not just because his offensive arsenal of attack was one of the best we’ve ever seen, from his lights out fadeaway jumpshot to his stellar athleticism – it was his killer instinct. It’s a rare trait, but Kobe had a nasty bite of it. 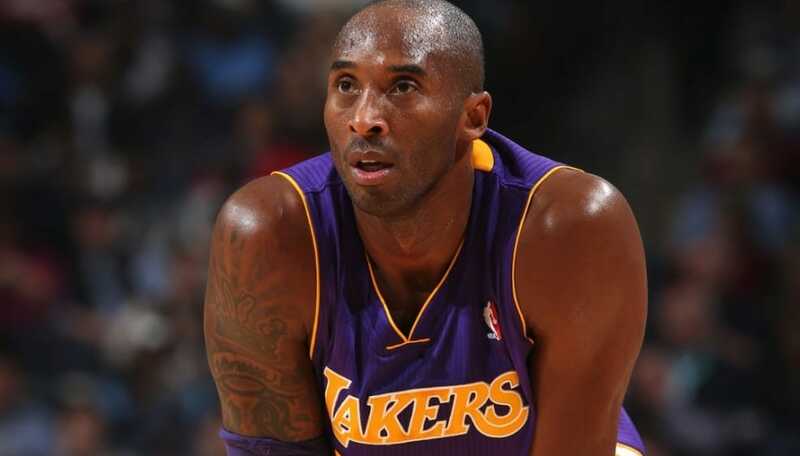 It’s what enabled him to score 81 points in a game, as well as win five titles for the Lakers.